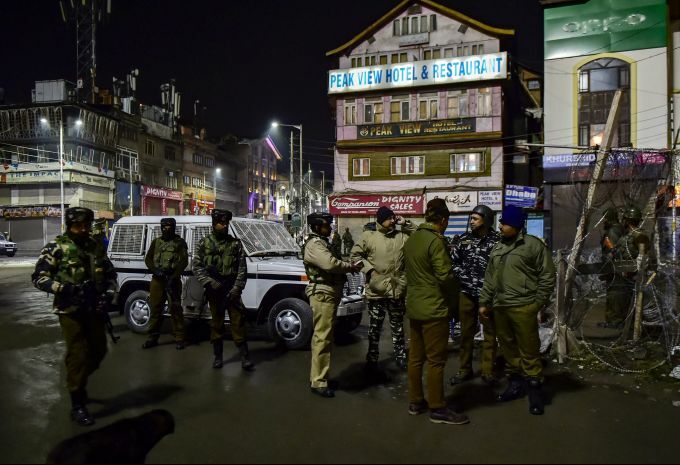 Srinagar: Senior security officers inspect the blast spot when a grenade was hurled towards a picket of CRPF, at Lal Chowk, in Srinagar, Friday evening, Jan 11, 2019. 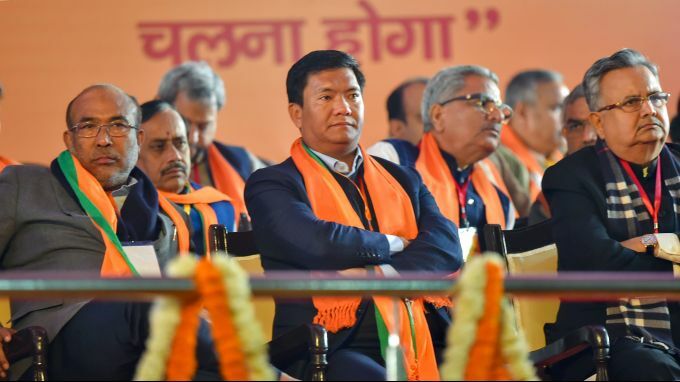 New Delhi: Manipur Chief Minister Nongthombam Biren Singh, Arunachal Chief Minister Pema Khandu and former Chhattisgarh chief minister Raman Singh on the first day of BJP National Executive Meet, at Ramlila Maidan in New Delhi, Friday, Jan 11, 2019. Schwaegalp: Snow is piled up outside the Hotel Saentis in Schwaegalp, Switzerland, Friday Jan. 11, 2019, after an avalanche. 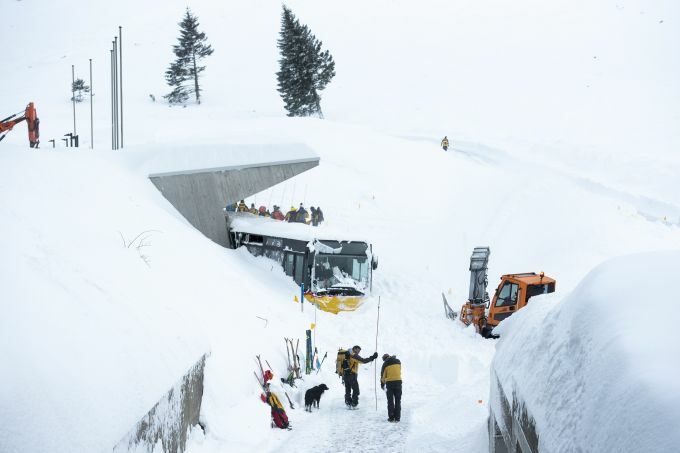 Police said three people were slightly hurt when the avalanche hit the hotel at Schwaegalp on Thursday afternoon. 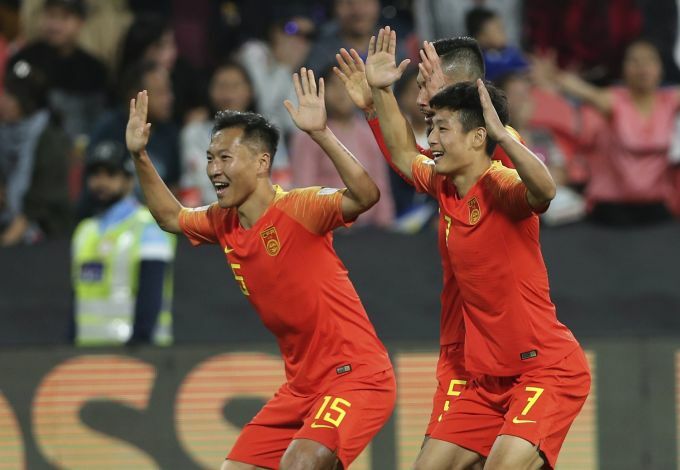 Abu Dhabi: China's defender Wu Lei, right, celebrates his opening goal with his teammate China's defender Wu Xi, left, during the AFC Asian Cup group C soccer match between China and Phillipines at Mohammed Bin Zayed Stadium in Abu Dhabi, United Arab Emirates, Friday, Jan. 11, 2019. 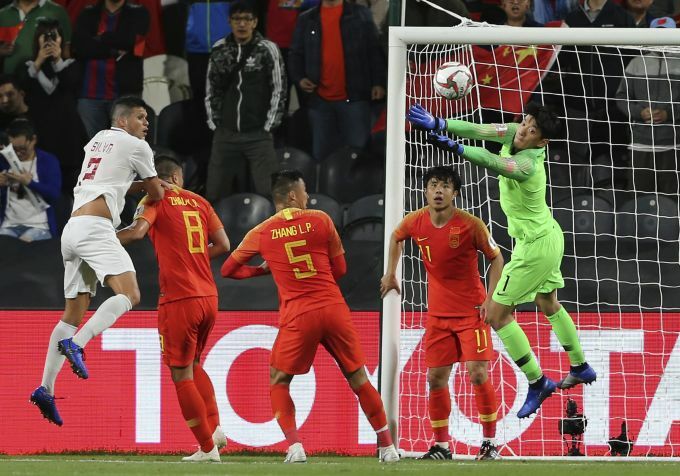 Abu Dhabi: China's goalkeeper Yan Junling, right, jumps to save the ball during the AFC Asian Cup group C soccer match between China and Phillipines at Mohammed Bin Zayed Stadium in Abu Dhabi, United Arab Emirates, Friday, Jan. 11, 2019. 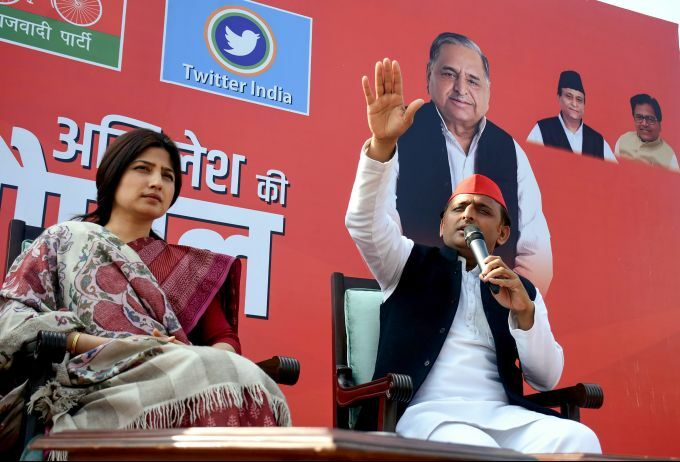 Kannauj: Samajwadi Party chief Akhilesh Yadav addresses a 'Chaupal' (public meeting) as his wife and Kannauj MP Dimple Yadav looks on, at Kannauj, Friday, Jan.11, 2019.